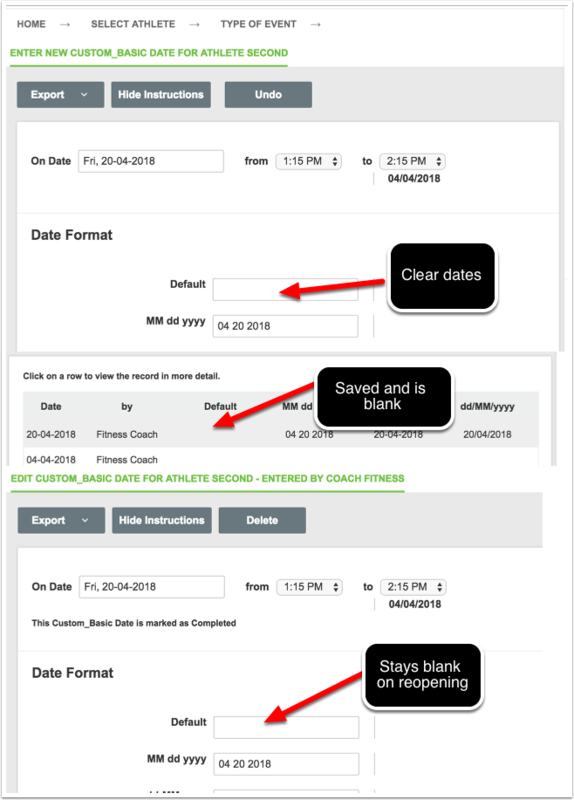 The issue with Date field not being able to be removed from a date field in an event form is resolved. 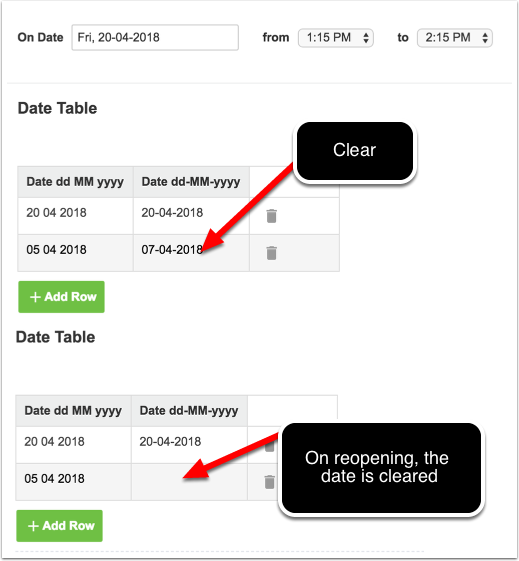 The issue with Date field in a Table Row not being able to be removed is resolved. There was an issue where the default to last was not being detected. This was part of a limitation of the system as it would check whether there was date entered within the last hour. This has been changed to the last 1 minute. However, please note that the system is checking on event start time (which is tracked to the 15 min period), so if one record, is entered at 10:30 am and the next record is also entered for 10:30 am on the same day, the"last" from first entry will not show. If the entris were entered for 10:30 and 10:45, the last record would appear. WARNING: If a user has date override, as this defaults to 12:00am for EACH entry on that day, the default to last will NOT pick up entries entered on that day. Log in failure on iOS when a ' is included in the username (e.g., Mc'Donald) on iOS 11 or above fixed. Apple changed the way a ' was being interpreted on their platform from iOS 11.0 and above. This broke the login for any users with a ' in their username. 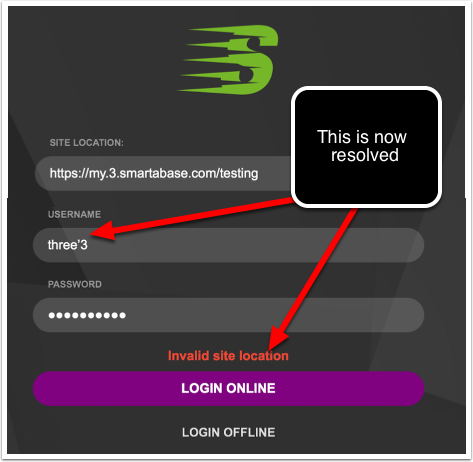 This is fixed in the build on the main Smartabase application which will resolve the issue on the iOS login. The iOS 11 issue with ' in the name. #1 and #2 error will now display "Connection Failure: Please check your site location is correct and your internet connection is active"